Do We Have a Legal Right to Light? 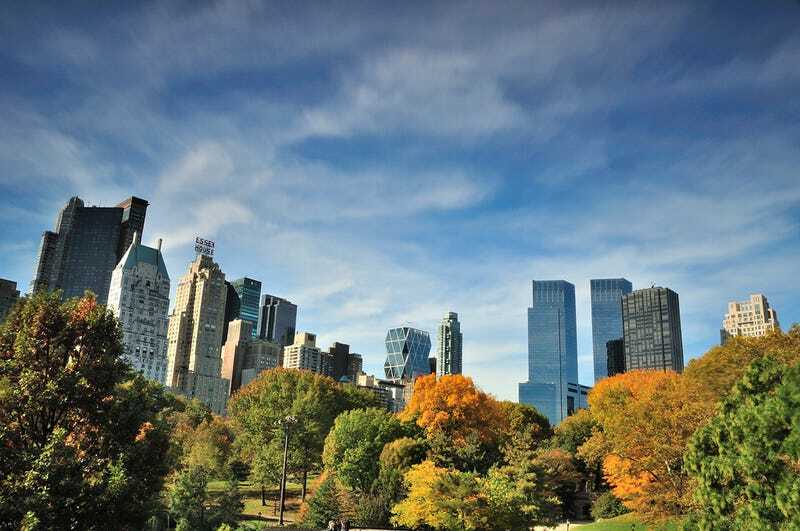 With supertall towers popping up along Central Park's southern edge like wildly expensive luxury mushrooms, Manhattan's largest park is about to be cast into shadow—some as long as half a mile. The real estate boom is stirring up a debate: Do we have a "right to light"? Not in America. But there are plenty of laws in other countries that protect homeowners' right to natural light—most of them stemming from around the time of the labor rights movement at the turn of the century, when dark, dingy tenements across Northern Europe and the US were replaced by neat, orderly public housing. In Denmark, for example, there's a law that determines exactly how much direct sunlight an apartment must receive—it's even changed the way that many windows are designed. In England, a law called "ancient lights," or "right to light," protects any building that has received natural light for more than 20 years from future developments. But, in the U.S., things are a bit more shady. A number of court cases here have attempted to block developments based on light, going as far back as 1959, when two Florida hotels duked it out over a bit of blocked sunshine. That case set the precedent for many others: The judge held that there is "no legal right to air and sunlight." In New York City, we have air rights—a concept that dates back to a law from Roman times: For whoever owns the soil, it is theirs up to Heaven and down to Hell. Modern air rights were spurred by the birth of air travel in the early 20th century, when New York City was the booming skyscraper capital of the world. The formula for FAR and the ability to purchase and pile up additional air rights has created an invisible Monopoly game in Manhattan real estate in which developers often work for years to acquire adjacent properties that could be collected into an "as or right" tall tower. After all, as St. John points out, people who are willing to fight for public spaces are disappearing quickly, while organizations that have traditionally critiqued developers are now run by them. Image by Warren St. John. But will shadows be enough to spur rage amongst New Yorkers? Or will we distract ourselves with pumpkin-flavored treats and complaining about Banksy until, one day, we wake up and realize that the single window in our terrible railroad apartment is blocked by the servant's entrance to a $100 million palace? And besides: Isn't it NYC's prerogative to build higher, faster, and stronger? We've never been a city to turn down new development—we're not Paris. But I think there's something else that irks me about these new towers. After all, New Yorkers willingly suffer for their city on a daily basis—in fact, it's a source of civic pride. As Justin Davidson pointed out in arecent review of one massive West 57th street tower: These buildings aren't awe-inspiring in the way the Empire State Building or Chrysler Building—or even Renzo Piano's New York Times building—are. And it's important that they're not office towers like the rest of the city's supertalls. These new buildings will become the tallest residential architecture in the country, populated by roughly a few hundred astronomically wealthy people. Non-billionaires will be relegated to the streets below, as oligarchs shuttle to-and-fro in helicopters and armored cars. Most of these condos will probably be empty, most of the time. So maybe it's not that these shadows are ruining New Yorkers' sunbathing. It's that they're escaping the fundamental reality of Manhattan—that regardless of income, all of us suffer the same basic indignities: The trash, the traffic, the pollution, the small kitchens. Lead image: Andrew C. Mace.